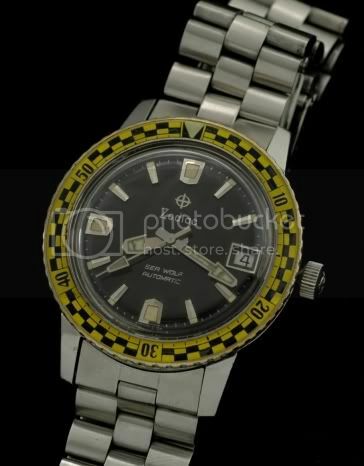 I think its a franken though the bezel is a genuine Zodiac (I own one that I picked up on ebay). One noted ebay seller had a red bezel one for sale, and then this turned up. Maybe I should marry the bezel I have with a Seawolf, then presto, another rarity. You can check derek dier's site, he's the one offering the aforementioned watch. Decent enough guy though.